Growing up, the Yankees were a religion in my house. People often say to me, 'I'm surprised you like baseball.' I'm a Yankee fan, it's in my genes. It's more than liking baseball! When I was a kid we couldn't afford to go to many games, but I caught a ball at 2 of my first 4, how crazy is that? This may be the most expensive night of my entire life. Is it the water? New York bagels = bliss. 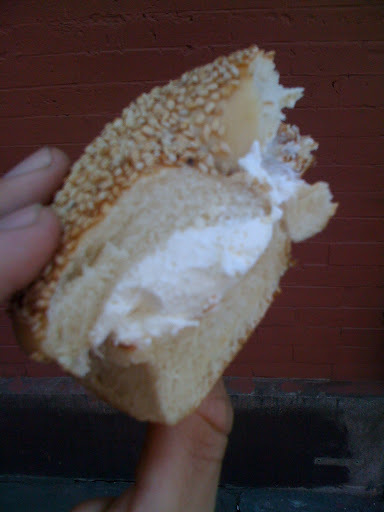 Tofu cream cheese. 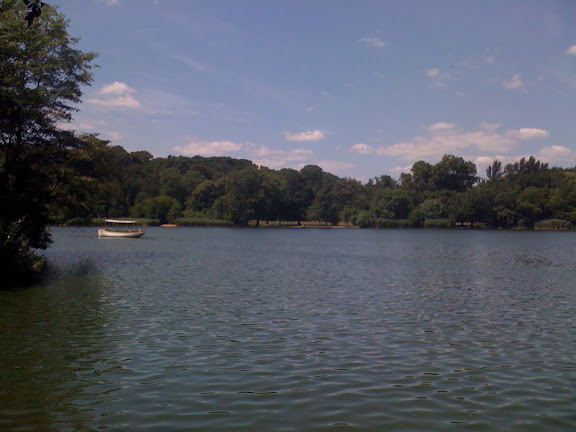 My mother grew up near Prospect Park but I haven't spent much time there. Didn't know there was water and boats!